Hola! Have a furry friend is so fun that one day, become another member of the family. So why not include them in your Wedding? We prepare these Pawsome ideas to include Dogs in your Destination Wedding. Ring Bearer Scort Guard This is the most popular option, having your little one Guard the ring is one of the cutest ideas! Additionally, if you have a ring bearer, it would be the perfect match. .
Hola! We just had the most stunning elopement ceremony on a catamaran in Cancun. Danielle & Paul were a couple from Glasglow, Scotland and decide to have their wedding ceremony at the pristine ocean. Their Love Story It was some time ago when they met. Do you guess where? Working at a Cruise! Sailing around the world they fall in love. However, their love story had a small twist. After a time working and . Hola! We know that this is the topic of the year!. A true fairytale comes true in times that probably we are desperate to believe in them. The Royal Wedding inspire us in so many ways, but also you can find inspiration for your upcoming wedding and create your own fairytale. Timeless Wedding Gown If there is something that we need to say about Meghan Markle Wedding gown is WOW! It is not only . Hola! With a Royal Wedding around the corner, we would like to show you some Gorgeous Bridal Accessories perfect for your wedding. In special for a Destination Wedding. I always encourage you don’t use a Veil except for a Catholic Wedding, why? Most of our weddings happen outdoors; so a windy day and a veil usually are not good friends. These will be amazing and gorgeous options to wear during your wedding… even if you . Hola! We had seen a lot of ideas and new styles all around our so we show you our favorites Wedding Styles to obsess over with touches of Marble, Cooper, and other details to prepare an amazing affair. There are tons of styles! The important part when you decide in one is that truly reflects you… We have seen lots of couples, and once you see their wedding ideas and we said yes, this is totally . Hola The 90 Oscars were just terrific! The Oscars Red Carpet is the part that we enjoy a LOT because we can find inspiration or trends in gorgeous wedding gowns. Despite that, the Oscars also influence us to find new ideas and plan weddings beyond expectation. What ideas did we saw during this Oscars Red Carpet edition worthy of your wedding dress? Shine, shine, shine There was a lot of sparkles! We love . Alo! Destination bridesmaids dress trends that you will love. Forget about all those boring dresses. Sequin, multicolored, floral style are the new options. 1.Traditional… Let´s call it traditional because all ladies are wearing the same color and even same shape. How is this changing? Now we can do multi-way dresses or adjust the shape to each of our ladies. Pros. They will feel much better wearing something in what they feel . We are still waiting to know which will be the Pantone color or colors for 2017, despite we already seen some colors for next spring! are no sure which are they? 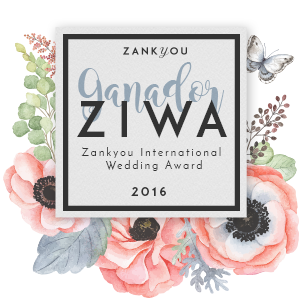 we check our Wedding Pantone Inspiration 2017 post about it. Some of the themes that we will see this year for decorating weddings, that can also be used for Destination Weddings might be: Tropical: A lot of colors! because .